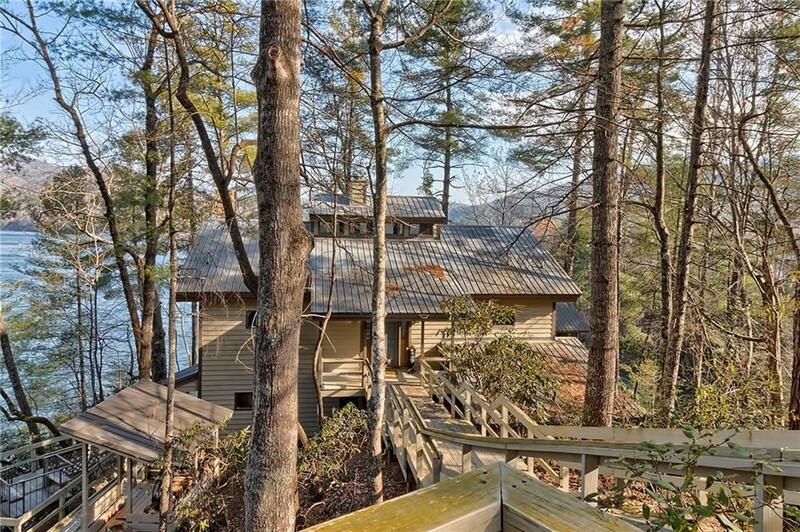 Enjoy serenity and privacy in this timeless custom mountain waterfront home that offers spectacular views of Lake Jocassee and faces the majestic beauty of Jocassee Gorges. A private oasis awaits you on this 1.72ac waterfront escape built for entertaining a large group of family and friends with three bedrooms, a bunk loft and a grand wooden spiral staircase to a single bed loft. 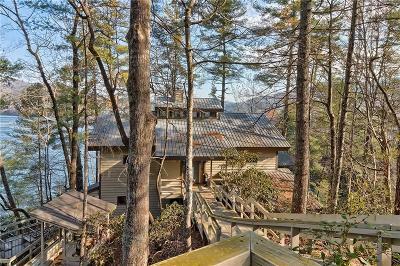 Completely remodeled in a casually elegant style with upscale rustic finishes, hardwoods & a chefâs dream kitchen all with endless views of prestigious Lake Jocassee. The great room welcomes guests with soaring cathedral ceilings anchored by a rock fireplace and open living space with expansive views of Lake Jocassee. The floor plan offers spacious generational living, private nooks and entertaining spaces with a wraparound lake view veranda and screened in area for dining or relaxing. This legacy property boasts an amazing 647' of gorgeous shoreline, a covered dock, deep water and lots of storage for all of your water toys. A scenic stairway winds down to the dock through rhododendron and rare Oconee Bell, with observation decks along the way for the botany enthusiast. With enticing outdoor spaces, unobstructed views of the lake and mountains outside your door, this waterfront gem is a special place for making memories with your family and friends for years to come. Located just 30 minutes from Clemson University, one hour from Greenville SCâs vibrant downtown and world-class health care, and just 17 miles from shopping and top restaurants in Cashiers, NC. EXCELLENT INCOME PRODUCING RENTAL.